Car show weekend!! 8:30-11:30pm~21+ FREE SHOW! 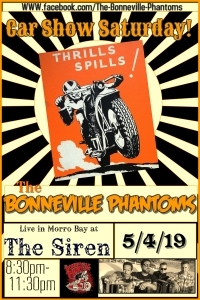 The Bonneville Phantoms are a new band playing Americana/Rockabilly/Roots Rock based out of San Luis Obispo, California. 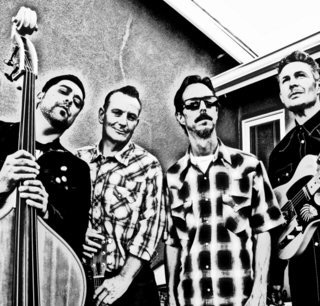 From Johnny Cash to Stray Cats, it’s the perfect show to get you revvvved up for your hot rod weekend! Cinco De Mayo Day Party with The Golfdads!